Our beautiful main building houses 3 double honeymoon suites with luxury bathroom each with bathtub and walk-in shower. On the lush estate, 6 private cottage suites with en suite bathroom are ideally positioned for maximum privacy, featuring a separate sitting and living area. All 9 rooms are exquisitely furnished with double king size four-poster beds, a flat screen satellite tv, a minibar, a safe for your valuables, complementary WI-FI and have a balcony with breathtaking views for private outside dining. Their sand colored walls and doors combine perfectly with the wooden tailor-made furniture and some subtle African artifacts creating an eclectic and unique “African chic”. Our chef, Axel, studied at one of the most prestigious schools in Europe and perfected his culinary art in several Michelin star restaurants. by absorbing local influences he has created his own highly appreciated cuisine: a fusion of exquisite European and African delights based on seasonal specialties. From breakfast with warm, oven crisp breads and freshly squeezed juices, to lunch with carefully selected brasserie dishes to the culinary feast for your taste buds at dinner: a five course gourmet experience accompanied by the finest wines from our climate-controlled cellars, all of which you can enjoy on the magnificent, spacious patio restaurant or in our intimate inside dining areas. Only working with the best products, the freshest ingredients and with tons of inspiration and creativity, we will make every bite and every sip an unforgettable experience for your senses. Relax in a zen atmosphere, dream away while inhaling the fresh Mount Meru air and achieve total bliss. Get ready for some serious pampering. At Machweo we offer a wide variety of cosmetic, relaxing and stimulating treatments for body and soul: divine Swedish or deep tissue massages, revitalizing steam baths, invigorating sauna experiences, energizing splashes in the pool and rejuvenating yoga sessions. Enjoy this abundance of wellness as well as a range of manicure and pedicure treatments in one of the restful bandas around one of the sun-flooded swimming pools or in the private comfort of your room, but please be advised that advance booking is highly recommended. Our splendid terrace overlooking the Maasai steppe, the sun-flooded pool and the private entertainment lounge & bar are probably the most relaxing places in town. And our lush gardens buzzing with life and vibrating with colors are the ideal getaway for some quiet contemplation. 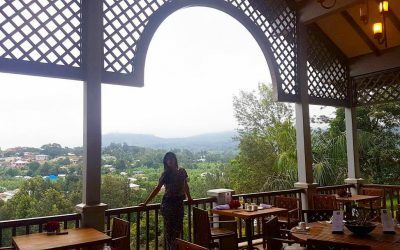 But our hip hide-away is situated right outside of Arusha and is therefore the ideal location to explore the city and its surroundings. A day safari to one of the neighboring national parks, a visit to a coffee plantation, a stroll through the vibrant Arusha market or a hike in the area of the nearby Mount Meru are just a few of the options. You can count on our extensive local knowledge to provide you with a once in a lifetime experience.